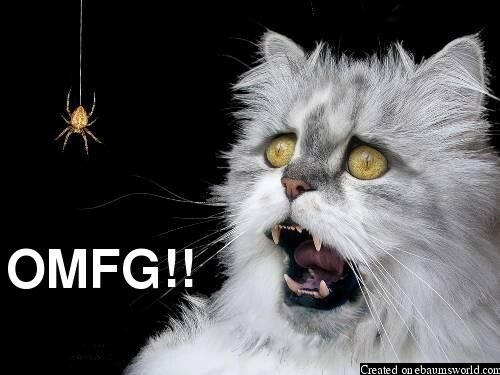 On my opinion, that cat's face is far more scary than the spider could ever be. 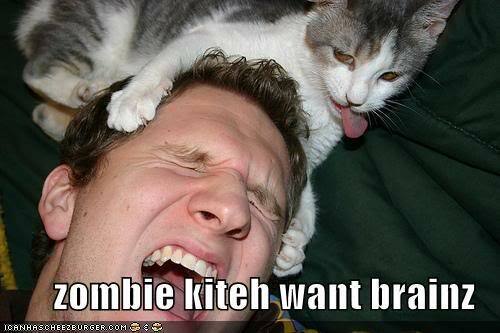 LOL at the zombie cat! 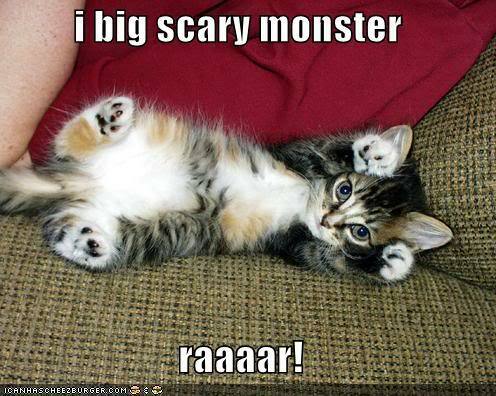 And that cat's face (the top one) is creepy. My cat eats spiders.